At what age are you in your prime? August 19, 2014, 8:55 a.m.
A new YouGov survey looks at a deceptively simple question: what age is the best age to be? 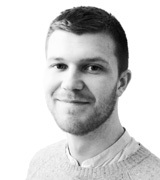 While you might expect a straightforward response – younger is usually better – the results paint a more promising picture for those reaching the tail-ends of their twenties. 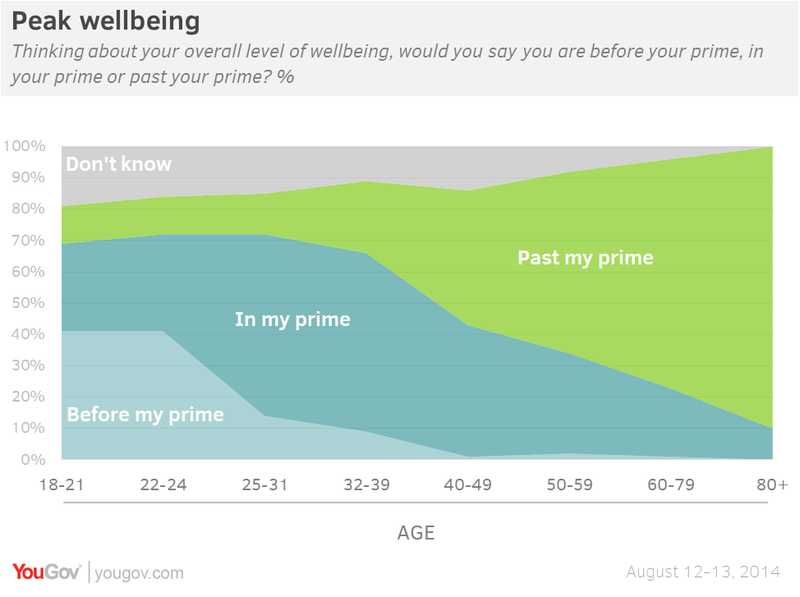 Throughout the 25-31 and 32-39 age-ranges, the highest proportion say they are in their prime in terms of their overall level of wellbeing (58% and 57% respectively). The 25-31 group are comparatively better off, however, as fewer (13%) say they are past their prime than do 32-39 year-olds (23%). But while other studies of wellbeing have identified two peak ages of life satisfaction: one around 23 and one around 69, YouGov’s results find that these groups view themselves as, on balance, before (41% of 22-24 year-olds) or past (74% of 60-69 year-olds) their prime.